Unlock Your Sony Phone in just few minutes! Choose your Sony phone by selecting or searching from the drop down list. If you can't find your Sony model contact us. How to unlock Sony Xperia to any network? 3- Enjoy your freedom: your phone now accept any SIM card from any Network! By using our remote unlocking services you will be able to use your Sony Xperia with any GSM network provider worldwide without any restriction, saving money on roaming charges and increasing the resale value of your phone! Unlock your Sony Xperia phone: Get your code today! Simply select the model and provide your IMEI (serial number) then click next! You're about one click ahead to have your Sony Xperia permanently unlocked thanks to Unlock-Network! 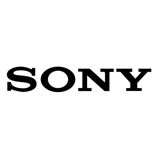 The most popular Sony phones we unlock are the Xperia XA1 Ultra, Sony Xperia Xperia XZ1, Sony Xperia Xperia XA1, Sony Xperia Xperia M5, Sony Xperia Xperia XZ, Sony Xperia E2105.